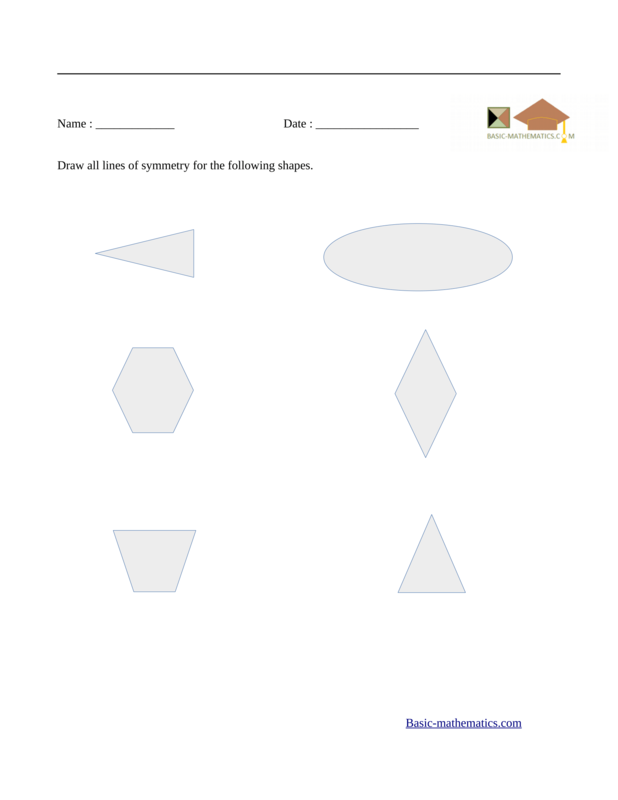 Find here a variety of free printable symmetry worksheets. 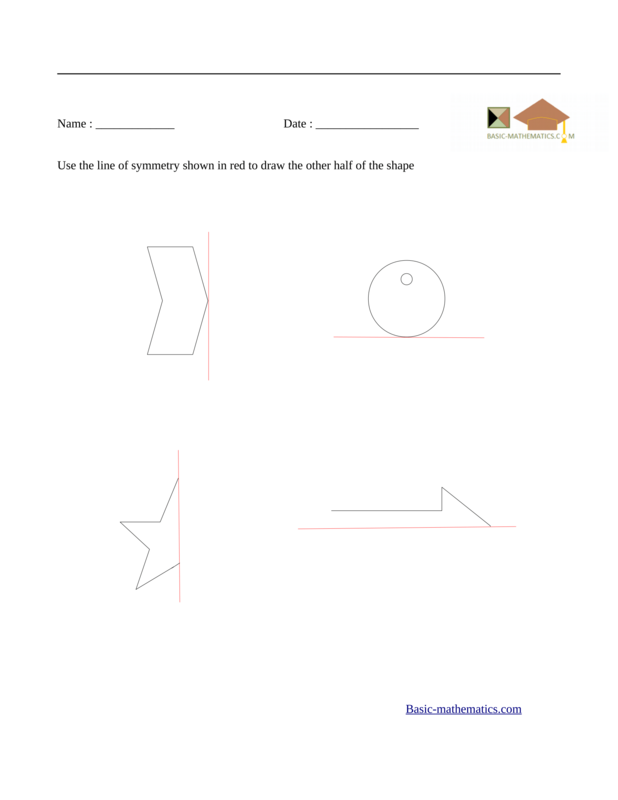 These worksheets will help you test your knowledge of line symmetry and rotational symmetry. 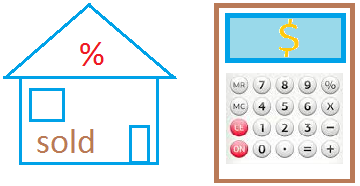 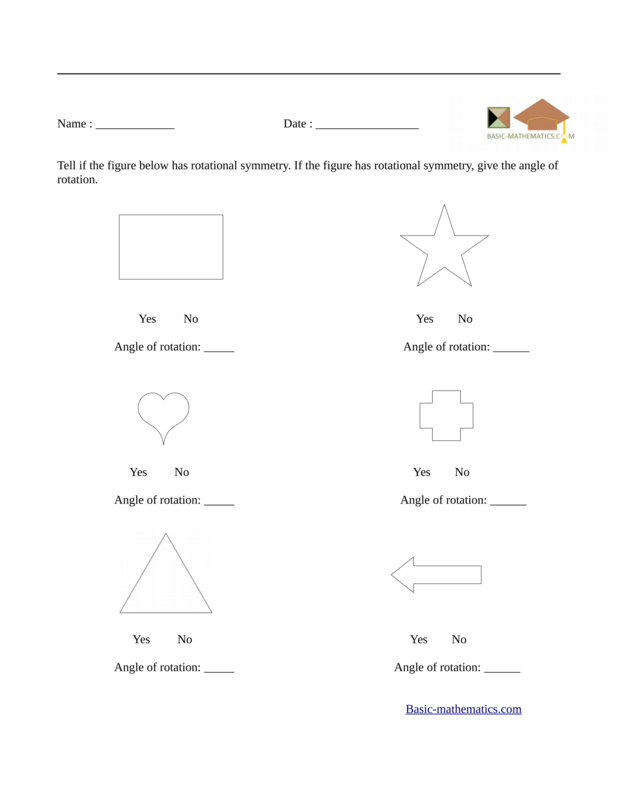 A figure has rotational symmetry If the figure is its own image for a rotation of 180 degrees or less. 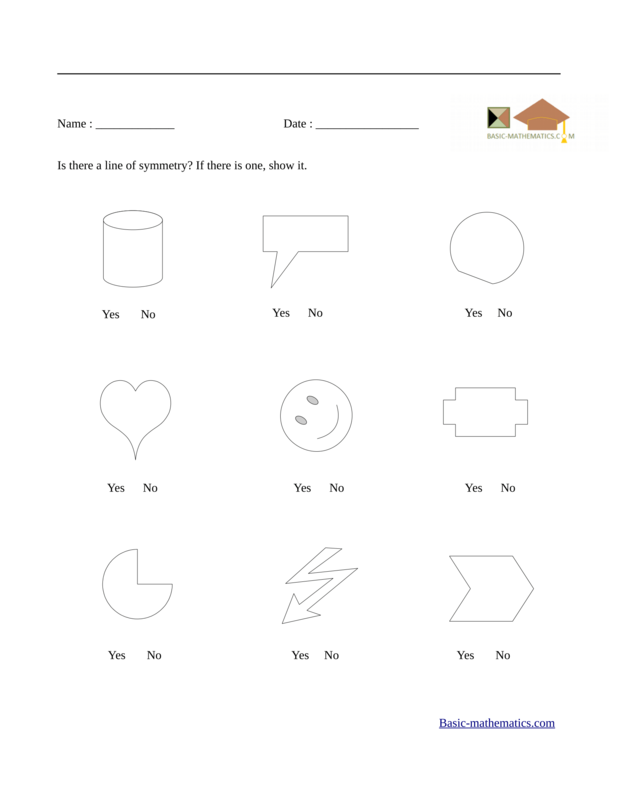 Line symmetry worksheets that will help you practice line symmetry.